Polar bears have long fascinated biologists perhaps rightfully for their remarkable ability not only to dominate their ecological niche but also to survive in a way most other arctic mammals dare not. 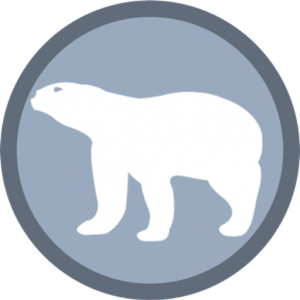 You can check out the polar bear’s adaptation and behavior over here. As of now, we are bringing you 10 interesting facts about polar bears that you probably didn’t anticipate initially. You’ll be amazed to read that scientists discovered two polar bear species—one of which had already become extinct. 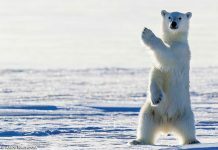 Let us enjoy top 10 facts about polar bears. The Ursidae is thought to be split from other carnivorans’ family around 38 million years ago. The subfamily is called Ursinae. It is believed to have evolved 4.2 million years ago. Biologists discovered the oldest polar bear fossil in Prince Charles Foreland in 2004. The fossil is a polar bear jaw-bone dating back to 130,000 to 110,000 years ago. Scientists concluded that the polar bears’ molar teeth underwent significant change from brown bears’ some 10,000 – 20,000 years ago. Ursus maritimus is the scientific name of polar bear. The Latin meaning of Ursus maritimus is ‘maritime bear’. 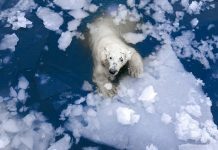 This is primarily due to the fact that polar bears spend most of their time on the sea ice, hunting, swimming and playing. 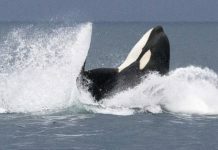 For the same reason they are also referred to as marine mammals. Polar bears are known to swim for as many as 6 – 7 days continuously. The record holds by a female polar bear which swam for 9 days in the Bering Sea. She traveled 400 miles to make it to the ice after which she again resumed her journey of 1,100 miles. She also reduced up 22% of her body mass during swimming. A polar bear looking for something. 10 facts about polar bears! Unlike brown bears, polar bears do not actively defend their territories. That is not to say that polar bears are not aggressive. White bears are highly aggressive when they are in bad mood. Apart from that bears avoid fights and seldom attack humans. Polar bears have a tendency to spend months in fasting. This usually happens when the sea ice melts and they are unable to prey on seals. White bears hunt seals by standing on the ice sheet but if there is no ice there is no hunting. During these days the bear makes use of its fat which it might have stored in winter. 6.) 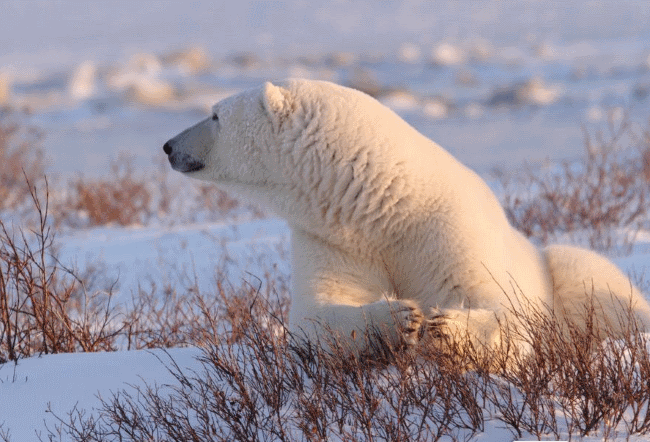 Polar Bear is a Marine Mammal—not a Land Mammal! 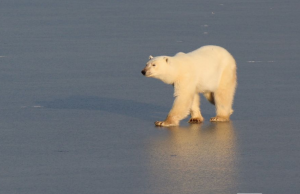 Polar bears spend great time walking on sea ice. Thanks to their powerful limbs and foot that enable them not only to walk but also run without any difficulty whatsoever. Biologists qualify polar bears as marine mammals because of these attributes. 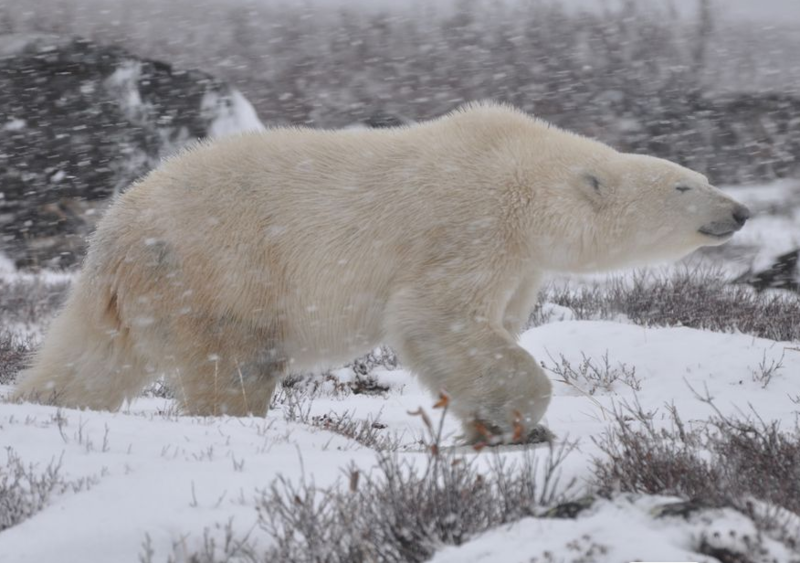 A polar bear walking through a blizzard. 10 facts about polar bears! Polar bears are thought to be the sister species of brown bears but both are probably different in their behavioral adaptations. Ice bears seem to have relatively narrower ecological niche as compared to brown species. 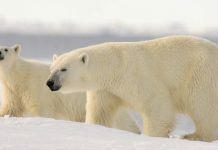 Unlike browns, white bears are adapted to surviving in extreme cold climates. Besides, polar bears can easily walk across the thick ice sheet and hunt seals underwater whereas brown bears almost exclusively rely on fish. During Pleistocene, one of the polar bear subspecies became extinct. 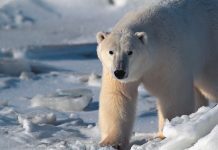 The species was Ursus maritimus tyranus which thought to be the extinct species of polar bear however recent studies denied any such evidence. Studies revealed that the Ursus maritimus tyranus is an extinct species of brown bear. 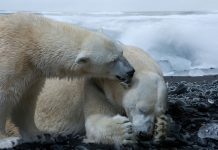 Polar bears are least likely to be affected by diseases or parasites. Many other terrestrial mammals seem to be affected by parasitic roundworm, bacterial leptospirosis, and Morbillivirus. Each year on February 27th polar bear day is celebrated just to spread the word of awareness regarding saving these majestic creatures from extinction. The day is known as the International Polar Bear Day. The bears are adversely affected by the rapid climate change and global warming in the last 30 – 40 years.